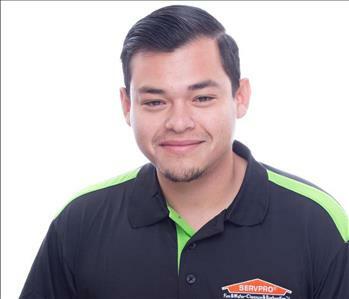 Edwin Rodriguez is a technician at SERVPRO of Pico Rivera/Santa Fe Springs is a Crew Chief at SERVPRO of Pico Rivera/Santa Fe Springs. He has many years of experience. He has been in the restoration field since 1988, and has worked with SERVPRO of Pico Rivera/Santa Fe Springs for nine years. His favorite part about his job is anything that has to do with contents, such as inventory, clean-up, etc. When he is not at work he likes to spend his free time at home relaxing.. He has been in the restoration field since 2013, and has worked for SERVPRO of Pico Rivera/Santa Fe Springs for 3 years. His favorite part about being a technician is working in peoples crawlspaces! When he is not at work, he likes to play handball. 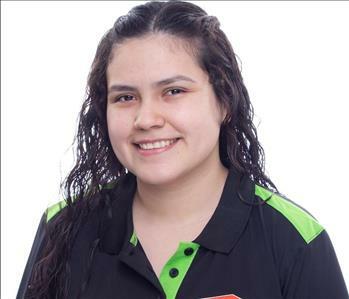 Martha Vivanco is a technician at SERVPRO of Pico Rivera/Santa Fe Springs. She has over 25 years of experience in the restoration field and has worked for SERVPRO of Pico Rivera/Santa Fe Springs for 6 years! She is certified by the National Association of Training and Environmental Consulting in handling Asbestos. She is also certified by ABRA Trauma Scene Clean-Up. Her favorite parts about working for SERVPRO of Pico Rivera/Santa Fe Springs are the Pack-Outs, Demolition, and doing Total Loss Inventories. When she is not busy at work, she enjoys going shopping! 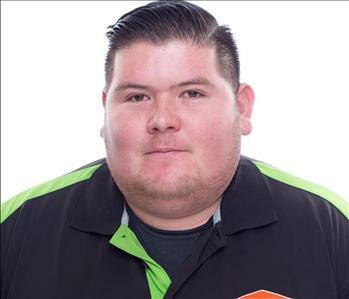 Hugo Herrejon is a Crew Chief at SERVPRO of Pico Rivera/Santa Fe Springs. He has been in the restoration field for 7 years, and has been with SERVPRO of Pico Rivera/Santa Fe Springs for almost a year. He has the following certifications from the Institute of Inspection Cleaning and Restoration Certification (IICRC): Water Damage Restoration. His favorite part about his job is that he gets to help customers. When he is not at work he likes to spend time with his family. 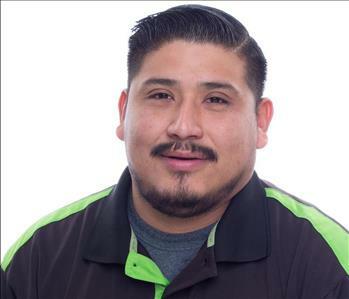 Jose Arcila is a Crew Chief at SERVPRO of Pico Rivera/Santa Fe Springs. He has many years of experience. He has been in the restoration field since 1988, and has worked with SERVPRO ofPico Rivera/Santa Fe Springs for nine years. His favorite part about his job is anything that has to do with contents, such as inventory, clean-up, etc. When he is not at work he likes to spend his free time at home relaxing. 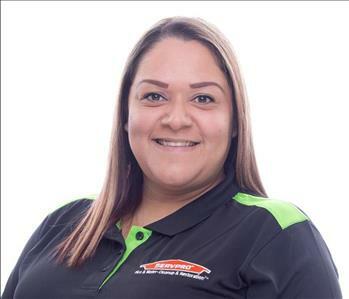 Esmeralda Diego is the Warehouse Manager at SERVPRO of Pico Rivera/Santa Fe Springs. 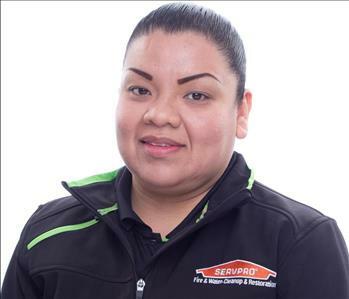 She has been a member of the SERVPRO of Pico Rivera/Santa Fe Springs team for 4 years. Her favorite part about her job is learning new things! When she is not busy keeping our warehouse clean and organized, she enjoys working out, cooking, and eating healthy. 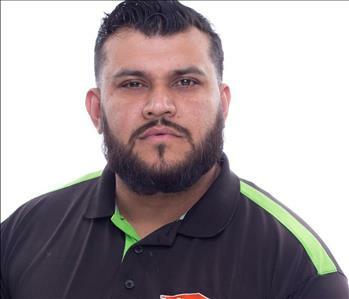 Jonathan Sanchez is the Operations Manager at SERVPRO of Pico Rivera/Santa Fe Springs. He has worked with SERVPRO of Pico Rivera/Santa Fe Springs for over ten years, and has been in the restoration field since 2005. He has the following certifications from the Institute of Inspection Cleaning and Restoration Certification (IICRC): Water Damage Restoration, Carpet Cleaning, Fire & Smoke Restoration, Applied Microbial Remediation, and Applied Structural Drying. He has his Construction B-License, and is certified in Commercial Drying. He is also a certified EPA Renovator. His favorite part about his job is the opportunity to help home and business owners in their time of need. When he is not at work he enjoys playing golf, watching and practicing sports, and spending time with his family! 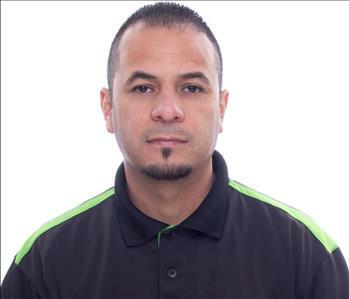 Ricardo Solis is a Technician at SERVPRO of Pico Rivera/Santa Fe Springs. He has been in the restoration field since 2013. His favorite parts about working for SERVPRO of Pico Rivera/Santa Fe Springs are going to different places everyday, and doing Demolition. When he is not at work he enjoys spending his time off with family, and going out to eat. 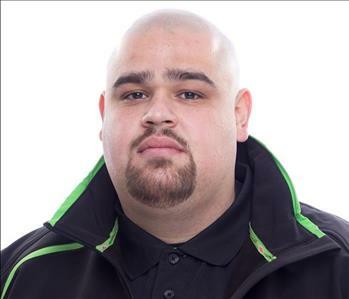 Mario Trejo is a Technician at SERVPRO of Pico Rivera/Santa Fe Springs. He has many years of experience and has been in the restoration field since 2007. 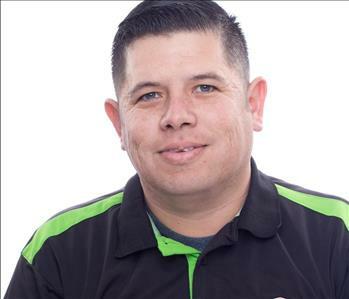 He has been a member of the SERVPRO of Pico Rivera/Santa Fe Springs team for 8 years! His favorite part about his job is getting to meet new people and go new places! When he is not at work he likes to spend his time barbecuing with his family. 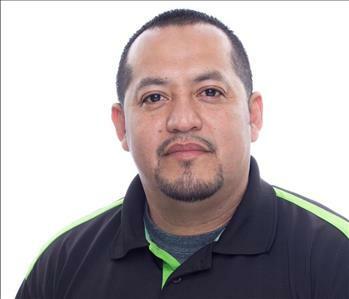 Rene Mendoza is a Technician at SERVPRO of Pico Rivera/Santa Fe Springs. He has been in the restoration field, and worked for SERVPRO of Pico Rivera/Santa Fe Springs for 12 years. He is certified by the Employee Certification Training Program (ECTP) to be recognized as a trained professional restorer. His favorite part about working with SERVPRO of Pico Rivera/Santa Fe Springs is that he is treated with respect by his co-workers. He also like to do Demolition. When he is not busy at work, he enjoys spending time with his family and taking his kids to soccer games and practices. 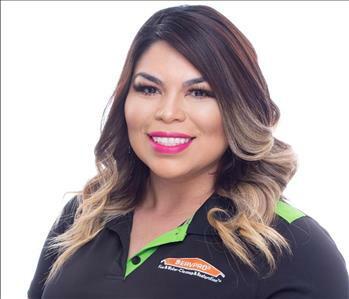 Kenia Lira is a Marketing Representative for SERVPRO of Pico Rivera/Santa Fe Springs since 2016. She received her Bachelor degree in the marketing area from National University last year! Her favorite part about working for SERVPRO of Pico Rivera/Santa Fe Springs is the family environment. When she is not at work, she likes to spend her free time hiking, eating, and seeing new places! She also enjoys spending time with her family. Gina Romero is the Marketing Manager at SERVPRO of Pico Rivera/Santa Fe Springs. 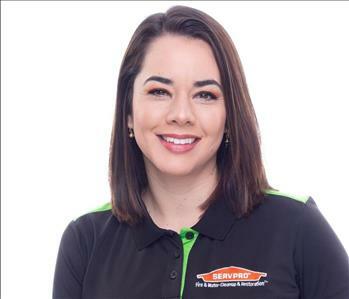 She has over 9 years of experience and has been with the SERVPRO of Whittier team since 2010! Her favorite part about working with SERVPRO of Pico Rivera/Santa Fe Springs is being out in the field everyday and being able to keep our agents happy! When she isn't busy out in the field she enjoys spending time with her family, going out to eat, and weekend visits to Disneyland! 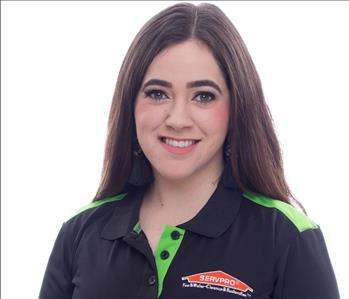 Stephanie Ramos is the General Manager at SERVPRO of Pico Rivera/Santa Fe Springs. She has over 10 years of experience and has been in the restoration field since 2005. She has the following certifications from the Institute of Inspection Cleaning and Restoration Certification (IICRC): Water Damage restoration, and Applied Structural Drying. She is also certified by the New Franchise Training Program (NFTP). Stephanie also has a Business of Arts Degree in Business Management from Cal State Fullerton. 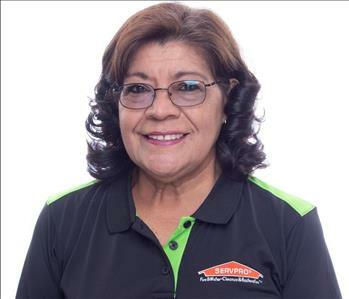 Her Favorite part about working for SERVPRO of Pico Rivera/Santa Fe Springs is seeing the growth and progress we have made since we opened doors in 2005 that would not be possible without the trust of our customers and the loyalty and hard work of our employees. When she is not at work, she loves spending time with her husband and baby girl. She also enjoys watching movies in their living room and working out at the gym! 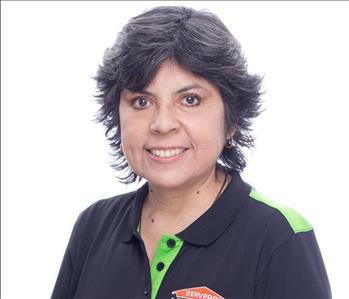 Marlyn Torres is the Office Manager at SERVPRO of Pico Rivera/Santa Fe Springs. 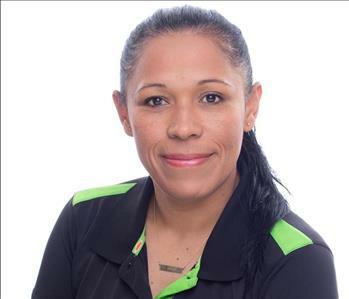 She has worked at SERVPRO for over eight years and has the following certifications from the Institute of Inspection Cleaning and Restoration Certification (IICRC): Water Damage Restoration, Applied Structural Drying, Fire & Smoke Restoration and Subrogation. She is also a certified EPA Renovator. She also has an Associates Degree in progress from Cerritos College. Her favorite part about working with SERVPRO of Pico Rivera/Santa Fe Springs is having the opportunity to make someone's day better and sharing the same vision with a team of extraordinary people! When she is not working she enjoys being outdoors. She loves going to different places and trying new things! One of her favorite hobbies is taking pictures! 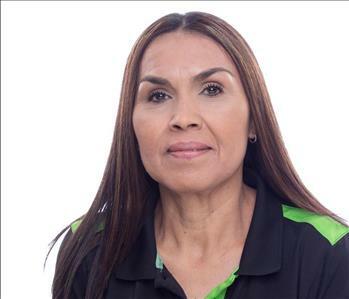 Gladys Moreno is an Administrative Assistant at SERVPRO of Pico Rivera/Santa Fe Springs. 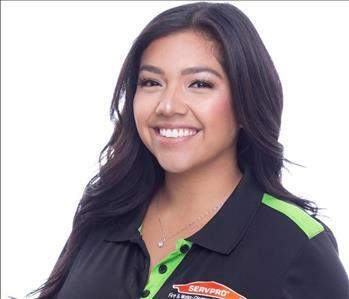 She has been a member of the SERVPRO of Pico Rivera/Santa Fe Springs team for three years. Her favorite part about working for SERVPRO is being able to assist our customers in their time of need. When she is not busy in the office she likes to spend her free time relaxing or with her friends and family. Anthony Ramos is the Estimator at SERVPRO of Pico Rivera/Santa Fe Springs. He has many years of experience and has been in the restoration field since 2010. He is certified by the IICRC in Water Damage Restoration, Applied Structural Drying, Applied Microbial Remediation, and Fire & Smoke Restoration. He is also certified in Trauma Scene Management and Restoration. He is certified by CAL OSHA Confined Space Entry and is a certified EPA Renovator. Anthony is also certified by the New Franchise Training Program (NFTP). 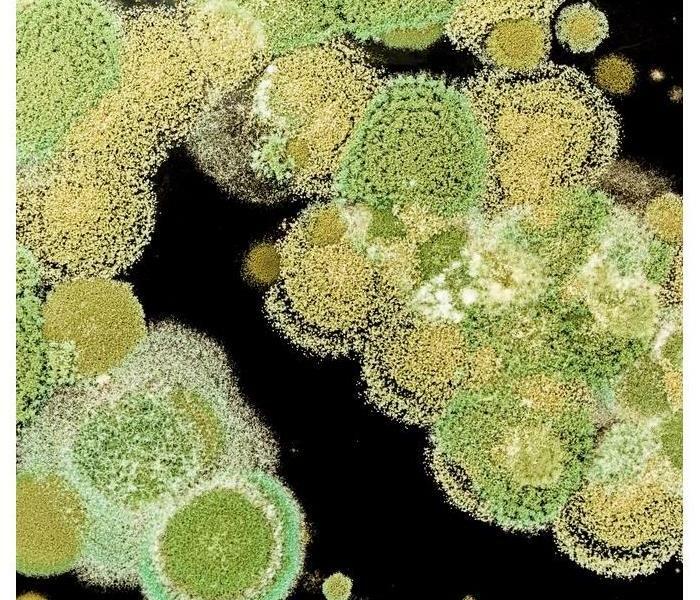 His favorite part about working with SERVPRO of Pico Rivera/Santa Fe Springs is the science of drying and restoration ( Psychrometry). When he is not at work he enjoys watching movies and baseball. 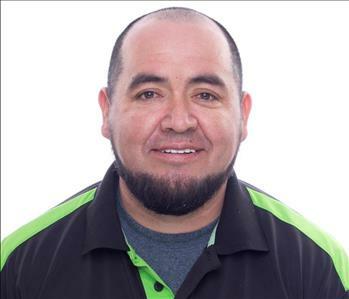 Jose Arreguin is one of our crew chiefs here at SERVPRO of Pico Rivera/Santa Fe Springs. He has over 6 years of experience in the restoration field. Jose joined our team almost a year ago! His favorite thing about working at SERVPRO of Pico Rivera/Santa Fe Springs is that every day is a different challenge. When he is not busy at work, he spends his time hitting the gym and hanging out with his family. 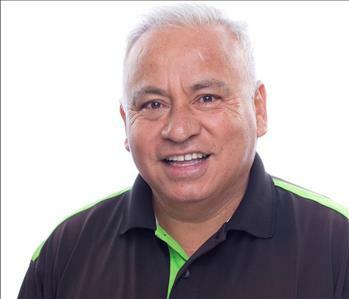 Jorge is the Construction Supervisor at SERVPRO of Pico Rivera/Santa Fe Springs. He has been a member of our team for three years now, but has over 5 years of experience in the field! Jorge's favorite part about working with SERVPRO of Pico Rivera/Santa Fe Springs is having the ability to coordinate with clients as they need it and having the flexibility to work with their individual needs. When he is not busy at work he enjoys spending time with his wife and kids! 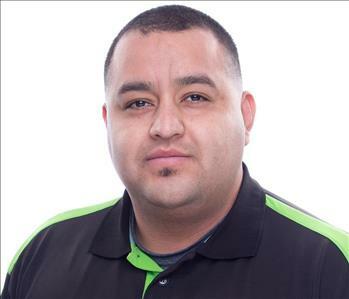 Edgar Beltran is a crew chief at SERVPRO of Pico Rivera/Santa Fe Springs. He joined our team 3 years ago and he has over seven years of experience in the restoration field! He has the following certifications from the IICRC: Water Removal Technician and Applied Structural Drying. His favorite part about working with SERVPRO of Pico Rivera/Santa Fe Springs is the service that we are able to provide for the customers. When he is not at work, he enjoys spending his time cooking together with his family! 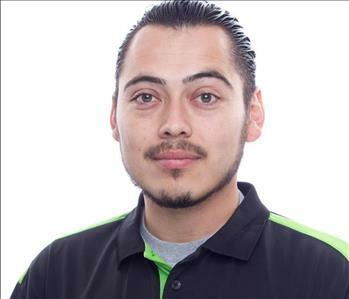 Alvaro is one of our technicians here at SERVPRO of Pico Rivera/Santa Fe Springs. He has 6 years of experience in the restoration field. Alvaro joined SERVPRO of Pico Rivera/Santa Fe Springs 2 years ago! His favorite part about being a member of our SERVPRO of Pico Rivera/Santa Fe Springs team is the professional work ethic that he finds in his co-workers! Diana Garcia is our contents crew chief. She has over five years of experience in fire and water restoration. When she is not at work she enjoys spending time with her new baby girl. 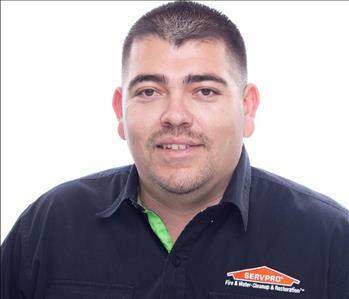 Pedro Melendres has been with SERVPRO of Pico Rivera/Santa Fe Springs for about 5 years now. He has an extensive experience handling packaging, inventory and storage of contents. Lupe Arcila is a content specialist technician. She has several years of experience handling fire and water clean ups. 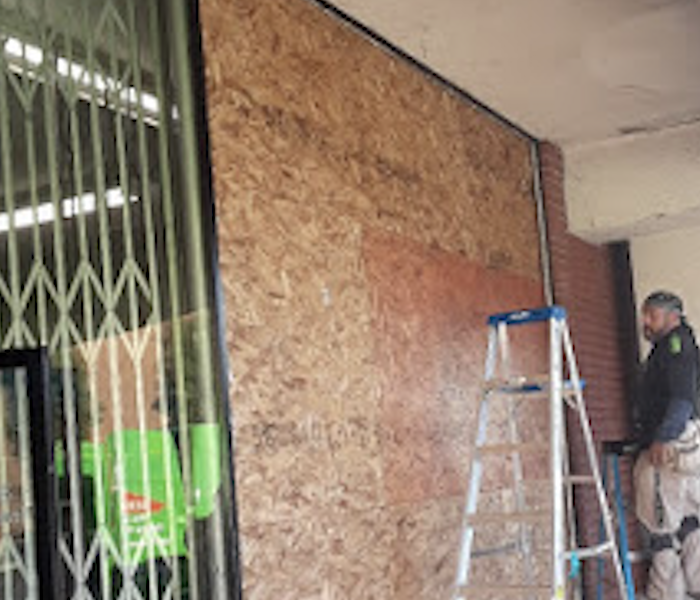 Abraham Navarette has been with SERVPRO of Pico Rivera/Santa Fe Springs for many years, he has background and experience in asbestos abatement and water damages. Stephanie Ramirez is the accounting clerk at SERVPRO of Pico Rivera/Santa Fe Springs since 2017. Her favorite part of working at SERVPRO is the opportunity to work with a great team and be able to assist our customers in their financial worries. On her free time she enjoys being with the family and watching sports. 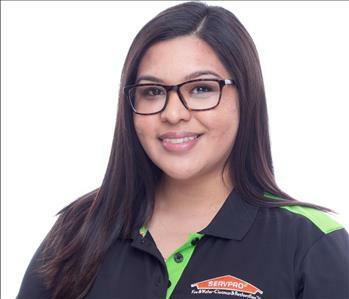 Daniela Vargas is the assistant office manager at SERVPRO of Pico Rivera/Santa Fe Springs. She has been a member of SERVPRO since 2017. She received her Bachelor of Arts degree in Business management from Cal State University of Fullerton. Her favorite part about working for SERVPRO is the fun, family environment. When she isn't working she enjoys hanging out with her family and traveling. Elsa Amaya is our booking and accountant assistant. She has been with SERVPRO for over a year! 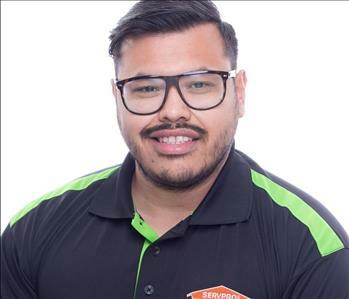 Bryan Madrigal is the construction project manager at SERVPRO of Pico Rivera/Santa Fe Springs. He has a general building contractor license and he is currently attending Cal State University of Fullerton. His favorite part about working for SERVPRO of Pico Rivera/Santa Fe Springs is working with a great team and helping people in times of need. When he isn't working, he enjoys listening to the tasteful palette of seventies rock. Ana Maria Sarmiento is the Human Resources Manager. She is been with SERVPRO of Pico Rivera/Santa Fe Springs for over 4 years now. She is in charge of payroll, employee benefits, training and assist our employees with questions or concerns about the work environment.